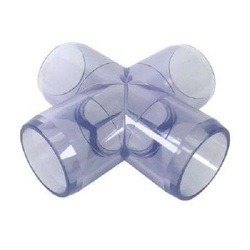 Borosilicate glass 3.3 pipeline offer many advantages for its use in chemical,pharmaceutical industries together with precious metal refining, dye works &electroplating because of its following characteristics. Our name is enlisted amongst the customers for offering bulk of Pipe Reducers. 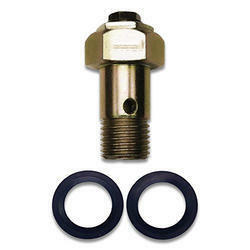 We provide product to our customers for using in various application. Our product is highly acknowledged amongst the customers for their hassle free performance and sturdiness. We offer Pipe Reducer to various industries and companies for their best quality. 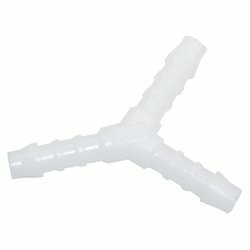 We are manufacturer and supplier of Pipe Cross Fittings. We are offering these products in variegated shapes and sizes to cater to the specific needs of our clients. The high standards of these Our goods are of international standards, which produces high degree of satisfaction among the clients. These Union Cross are extensively used in fabrication, construction and machining applications. 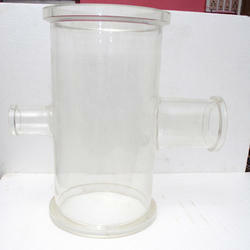 We are the leading and prominent Manufacturer and Supplier Concentric Reducer. 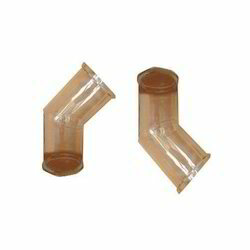 Our valuable customers can avail from us an excellent quality range of Glass Bends. 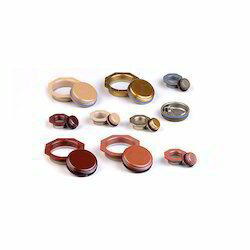 As a matter of fact, these equipments are finely durable in nature and we have processed them using best grade raw material. Durable and abrasion resistant, these glass are available in various colors and can also be made as per the varied requirements of our clients. Our clients can avail from us Mixer Settler, which is a revolutionary new device that makes phase separation simple and automatic, irrespective of the concentration of two phases (interface height). The mixer settler is a type of extractor, which is made up of a number of mixing and settling chambers connected alternately in series. In the mixing chambers, optimum mass transfer is attained through mixing of two phases with the aid of pumps and stirrers. 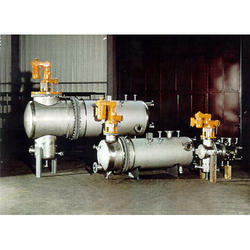 In the simplest case, the mixer settler consist of adjustable overflow valve, stirrer drive assembly and settling zone. 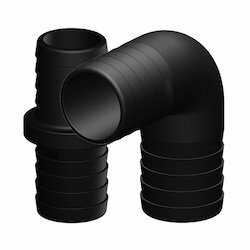 If free cross-section obtained with the combination of column section and packing support are not large enough, then an alternative is to be used with pipe sections in combination with fixed support plate. 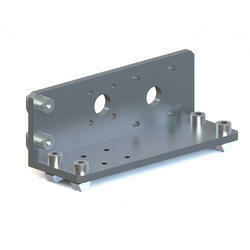 Each item comprises glass support plate, screwed rod with nuts and flat washers. DN L Maximum Load (Kg) Cat. Ref. DN DN1 D L L1 L2 I/HR. CAT.REF. DN L L1 L2 Cat. ref. The feed is acidified with 30% HCl acid and acidified feed is fed to the scrubber by pump to Scrub uncondensed chlorine from Vent Condenser and return back to the reaction column. In some cases the part feed is preheated using effluent from the reaction column prior to the entry of reaction column and part feed is fed to the scrubber to conserve energy. Chlorine and Steam are also fed to the reaction Column. In the reaction column the feed is reacted with chlorine gas & bromine is liberated Instantly. This liberated bromine is stripped out of the solution by live steam. The bromine and water vapor stream leaves the top of the column and enters the condenser . Condensate falls into the Phase Separator where it forms two phases, the light aqueous phase (Water) being returned to the Column ,while the heavy phase(Bromine) being feed the purification column. Cooling Water & Chilled Water is used as cooling media in heat exchanger provided at the top of the column to condense water vapor & Bromine. Purification of the Bromine is achieved by distillation. Heat being introduced into the column through the reboiler. Bromine and Chlorine vapor leave the top of the Column and enter the Condenser. The Bromine gets condensed in the Condenser and falls back into the column while uncondensed chlorine vapor along with traces of Bromine escapes from the Condenser and enter into the Vent Condenser, where remaining Bromine gets condensed and back to the crude Bromine receiver. 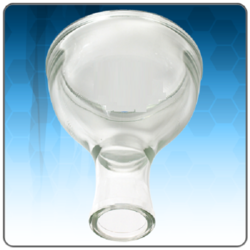 Pure bromine is cooled in a product cooler to and goes to Product receivers. 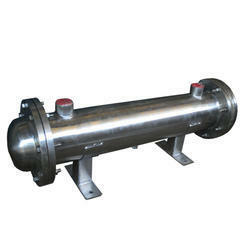 Guard condenser is also provided at the top of the receiver to prevent escape of bromine. Bromine is then collected in glass bottles. All the process vents are connected to a common header, which is taken to primary scrubber where cold feed is circulated.